DESCRIPTION: They weigh 0.3-0.5 oz. and have a wingspan of 7.9-8.3 in. DIET: Their diet consists of insects, arachnids, and berries. 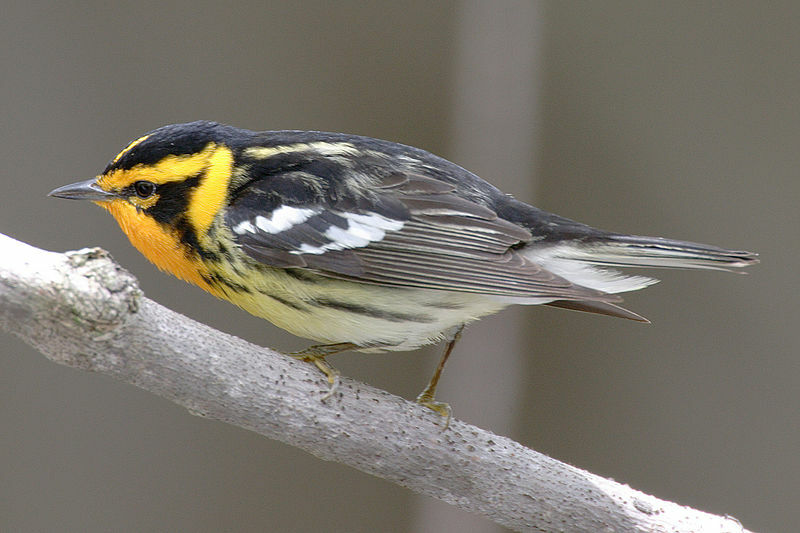 HABITAT: Blackburnian Warblers live in coniferous and mixed forests. They have multiple calls, two of which are “sleet-sleet-sleet-sleet” and “teetsa, teetsa, teetsa, teetsa, tseee.” They are protected on the US Migratory Bird list.